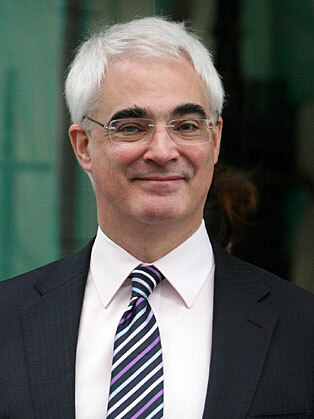 Alistair Darling served as Chancellor of the Exchequer from 2007 to 2010, during the most turbulent and far-reaching economic crisis the world had seen for 60 years. He introduced the measures needed to avert a collapse of the banking system, and played a leading part in restoring stability to global financial markets. Alistair worked as a solicitor in Edinburgh before being called to the Scottish Bar and entering Parliament. He became Chief Secretary to the Treasury in Tony Blair’s first Cabinet, moving to Work & Pensions, then taking joint responsibility for the Scotland Office and the Department of Transport. His final role under Prime Minister Blair was at the helm of Trade & Industry, after which Gordon Brown promoted him to the Treasury. As Chancellor, Alistair Darling was widely credited with preventing recession from spiralling into a repeat of the Great Depression. By the time he left office, government borrowing was less than forecast, and unemployment and repossessions were both lower than many had anticipated. Looking forward he believes that Labour must stay in the centre ground, and that the country won’t be able to adapt to future needs unless both private and public sectors work together. In speeches he offers a dispassionate account of what’s going on in the world economy.